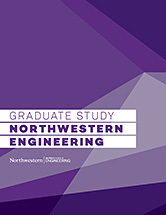 Canvas - Link to the Northwestern Course Management System. See announcements, class assignments, notes, and grades of courses in which you are enrolled. CAESAR - Link to CAESAR. In the 'My Academics' section, see your grades after exams, unofficial transcripts, and request official transcripts. Webmail - Link to the webmail system used at NU. Registrar's Office - Link to the Registrar's Office. Reserve rooms, add or drop classes, order a transcript, and more. Student Accounts - Link to access your accounts. See and access your tuition and fees. Wildcard - Northwestern's official ID, the Wildcard, can be used to access University buildings and shuttles, purchase food through the University meal plan, and much more. Evanston Office of Graduate Financial Aid - Financial aid for students in the Master of Science in Analytics program is processed through the Evanston Office of Graduate Financial Aid. Find out if you need student loans and get an overview of the process or figure out which type of loan will work for you. Office of Fellowships - For more funding options, start with the Office of Fellowships as a resource. Student Health Insurance - Health Insurance is a requirement for all degree seeking students at Northwestern University. The Student Health Insurance office assists students in making appropriate insurance selections for their health care needs. Graduate Housing - MSiA students are part of the McCormick School of Engineering. Those who choose on-campus graduate housing typically apply for space in Garrett Place or Engelhart Hall. Learn more about on-campus graduate housing options and how to apply through the residential services office. Shuttle Service - There are several shuttle services offered to students, including a free shuttle between the Chicago and Evanston campuses. Students must show their Wildcard to use the shuttle. Parking - Options to park on Northwestern's Evanston Campus. NUIT - Need help with your computer? Contact NUIT and set up an appointment. Northwestern University Recreation - Northwestern University Recreation provides a variety of recreation, fitness, and sport activities designed to foster individual development, enrich university life and engage the university community in positive lifestyle choices. International Office - We collaborate with the International Office for everything necessary for our international students.